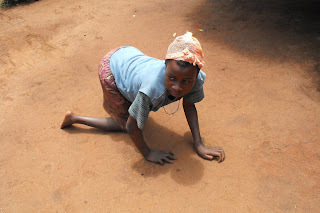 Josephine is a 12 year old girl who was born normal, however when she was a baby she got sick with malaria for 3 months; from that sickness she developed Cerebral Palsy (CP). Her mother took her to local clinics and hospitals, but none where helpful. After going to one last hospital in Kayunga they were directed to Spring of Hope (SOH). Before SOH started working with Josephine in 2005 she was unable to do anything physically; now she is able to crawl, sit, feed herself, and bathe on her own! 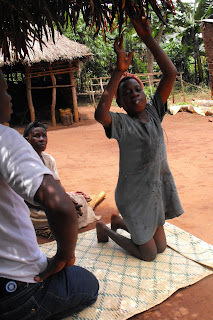 SOH made a walking stabilizer for her to practice strengthening her legs and for stabilization while bathing. Hopefully as SOH continues working with Josephine we will see consistent improvement both physically and mentally.